There are two sides to home value: Its perceived value, and its appraised value. Both can help determine what’s known as Fair Market Value. What’s important to understand however, is that appraised value drives the bank’s final decision on how much they will lend a buyer to purchase a home. Part of what can drive both is the number and types of improvements made to the property. The question is, which improvements affect home value to the positive, and are there any that may have a negative impact on a home’s value? In considering upgrades to your home, there are some factors to keep in mind. Upgrades to any area of your home, be it the outside (Landscaping, hardscaping, addition of a swimming pool or exterior buildings) or the inside, care should be taken in not only in the quality of the work performed, but also to some degree, conformity to the area in which you live. For example, expanding your home to 5,000 square feet when the rest of the homes in your neighborhood don’t exceed 2500 square feet might make your home harder to sell because it does not conform to the rest of the homes in the neighborhood. 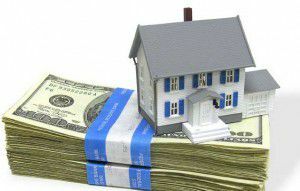 Thus it would be difficult to assess Fair Market Value based on the conditions of the area. Now that’s a bit of a stretch for a standard example, but things like this have been done before. External conformity in home improvement is a bit more important than some upgrades inside the home due to the fact that the outside of a home is the first impression buyers get, for obvious reasons. Many newer developments, even those without homeowner’s associations, require homeowners to comply with CCR’s (Covenants, Conditions and Restrictions). CCR’s regulate to a degree the types of exterior improvements homeowners can make to their property. These are usually set up to insure property value remains consistent. Either way, considering that your home is an investment, keeping the look and feel of the neighborhood in mind when making exterior property improvements is a wise financial choice. In making upgrades to the inside of your home, conformity doesn’t play quite as strong of a hand. Even still, there are wise decisions and choices a homeowner can make when considering interior improvements. You may hear this a lot, even from some real estate agents. To a degree, this may be true. Kitchens and bathrooms are the most used from a utilitarian point of view, but they also reflect the aesthetic of home and comfort, and are often the deciding factor in a buyer’s final choice of a home. That being said, homeowners should not overlook the opportunity to improve other areas of their home as well. Going back to the investment and value aspect of your home, improvements should reflect a broader based appeal in decor and color. Trendy patterns, colors, and textures can become outdated, and unless you can afford to make improvements every few years (And some homeowners do), it is best to make improvements as “trend neutral” as possible. This doesn’t mean improvements have to be bland and boring, but again, quality and overall value of the improvement should take precedent over the fashion and style trends of the moment. How much extra will my swimming pool get me when I sell my home? Believe it or not, while a well built, well designed swimming pool appeals to some home buyers, they do not necessarily add a huge amount of extra value to a property. Remember, not all buyers swim, and not all buyers want the responsibility or costs usually associated with owning and maintaining a swimming pool. They also do not take away from a home’s value (Unless they are damaged or in disrepair). If you are considering adding a pool, do it because of the enjoyment you and your family will receive. Improve for value? Or improve for comfort? Ultimately, all home improvements are subject to the taste of the homeowner making them. It’s always good to make sure your home has the best chance to sell and the best chance of maintaining its competitive value. Even still, it’s your home. Making it comfortable for you and your family should be first and foremost your ultimate goal.